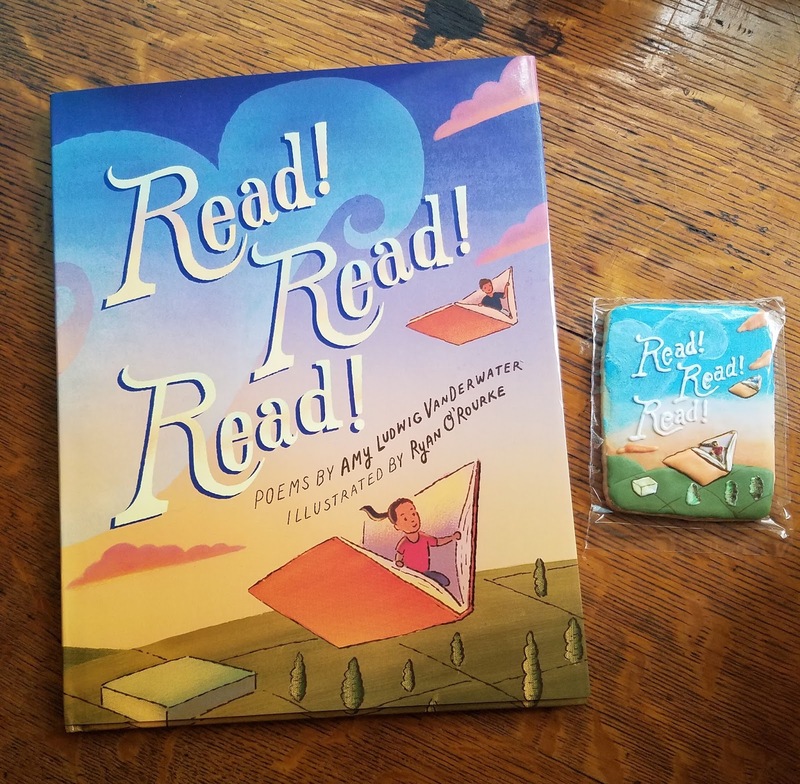 The Poem Farm: Happy Book Birthday to READ! READ! READ! 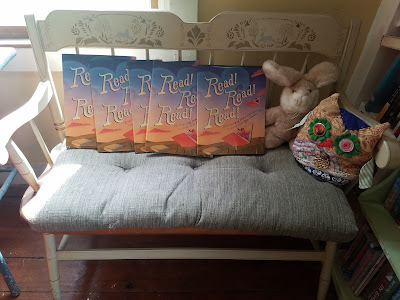 Happy Book Birthday to READ! READ! READ! Students - When I was a little girl, my mom would regularly take my sister Heidi and me to the Vestal Public Library. We loved selecting our own books, and sometimes we even checked out sculptures, displaying them in our home for a week or two. (I distinctly remember the bunny sculpture...we checked it out several times.) Sometimes Mom would go to the library without us, to refresh our book stock, and when she did, she'd pile up our books - one pile for Heidi, one pile for me - on this bench which lived in our front hall. 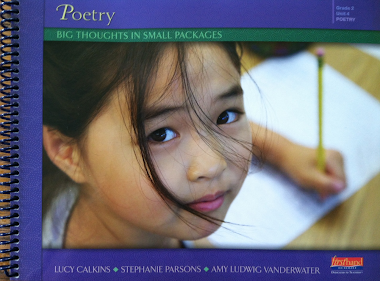 Today's book birthday celebration poem is about an object. We are always surrounded by objects - inside and outside. If you ever feel stuck for a writing idea, just pick one of those objects you see - I do this often. Follow your mind. If you wait, something will always show up on your page. Dedication Page of READ! READ! READ! Yes, children turn into grown-ups...and I did too. And it's true that we never know what the days and years will bring. Yet I have learned this - if we hang on dearly to what we love doing and making, we learn about ourselves, and sometimes we have chances to share what we learn. 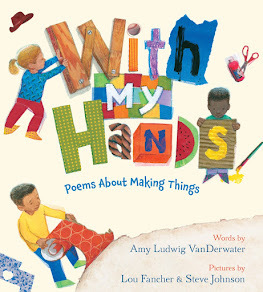 I feel lucky to share these poems, to have been part of a team with amazing editor Rebecca Davis, fabulous illustrator Ryan O'Rourke, and all of the completely wonderful people at Wordsong/Boyds Mills Press. Thank you to my best-ever agent Elizabeth Harding at Curtis Brown Ltd. Thank you, all! To read more about our new book, please visit these bloggers who have posted about READ! READ! READ! Much gratitude, friends, for these kind posts. 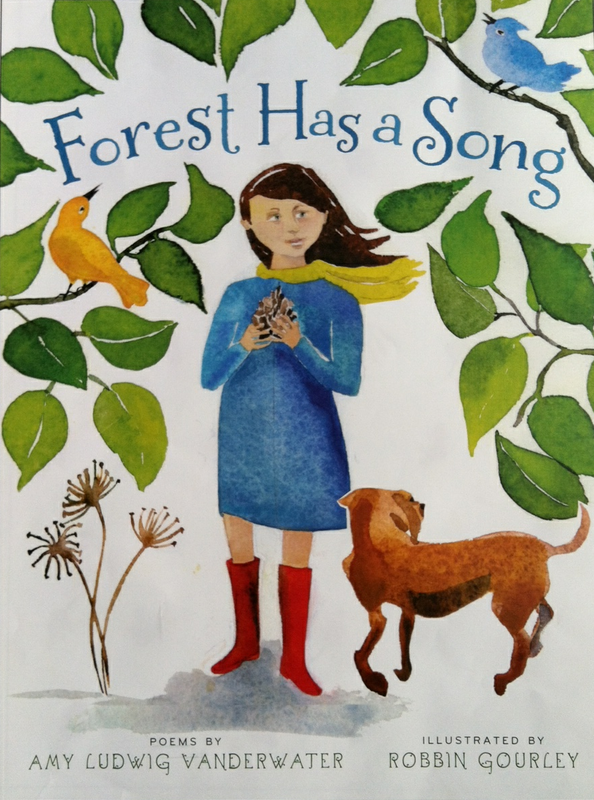 Boyds Mills Press (donating books) and I (signing and shipping books) are holding a giveaway for this book, joyfully illustrated by Ryan O'Rourke. This giveaway runs through tomorrow, September 20, and there will be five winners of one signed book each. You may enter HERE. 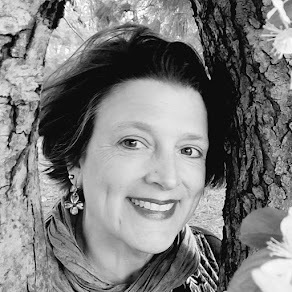 Thank you so much for stopping by to celebrate with me...today and on all of the days that we share poems together. I am very grateful for you, my poemfriends, and never more than on a day of celebration. Hello Amy and happy book birthday! I love the book cookie! And these words from this post: "...if we hang on dearly to what we love doing and making, we learn about ourselves, and sometimes we have chances to share what we learn." Happiest of Book Birthdays to Read! Read! Read! I love that you know Vestal library. I went to college in Ithaca. Such pretty country. Best of luck to your newest addition. Happy, Happy Book Birthday, Amy! I am happy for you and Ryan. 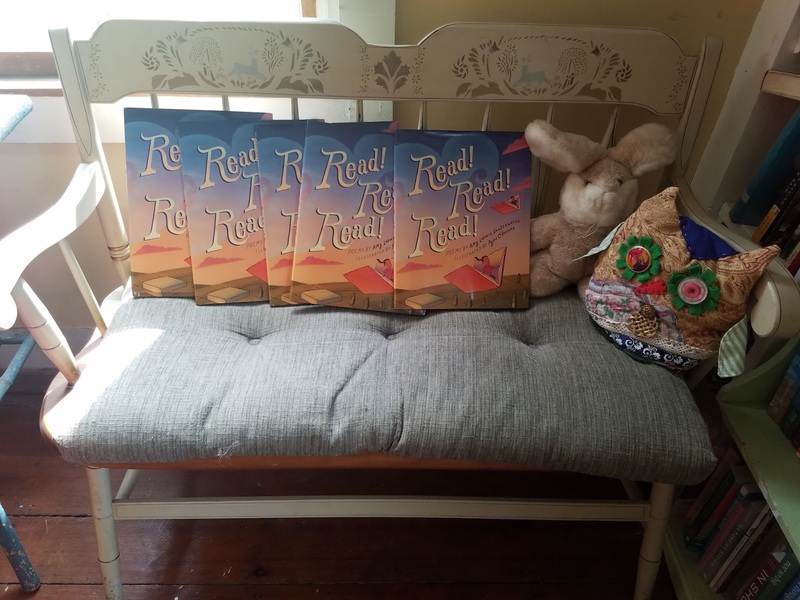 What a lovely book and today's post honoring that Deacon's Bench where sits many memories, and now, your book! I love that sweet sister who "waits". Happy Book Birthday! 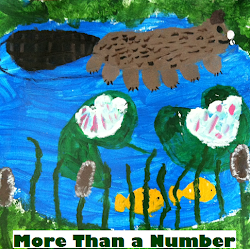 Will you be signing this one at NCTE? I really want a signed copy. Happy, happy book birthday to you, Amy!!!!!! Happy Book Birthday Amy, all the bests with this new book! 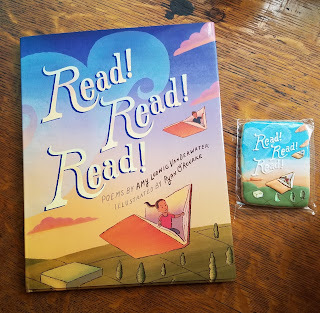 I love the cover art on your book, and I'm looking forward to reading the inside, fun cookie too! Congratulations, Amy! I'm looking forward to reading your beautiful book! Love the advice, Amy: "If you ever feel stuck for a writing idea, just pick one of those objects you see - I do this often. Follow your mind. If you wait, something will always show up on your page." Can't wait to read your book. Congratulations! I can't wait to grab my very own copy of this, Amy. Congratulations! Congratulations, Amy! I ordered three copies from Amazon and they arrived today! Thank you for this gift to readers of all ages. Congratulations, Amy! I'm really looking forward to this book! But until then, I believe I will visit the blogs of those who have posted about it so I can learn more!